Netflix has a new hit original series. Luke Cage is a super hero Harlem resident with bulletproof skin and super strength. 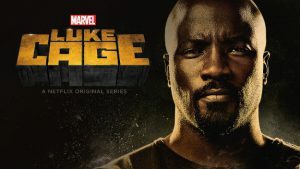 Kyle Willoughby and Claire White discuss how Luke Cage became Marvel’s first Black superhero to get his own comic and the process of re-imagining him for the Netflix series. Kyle traces Cage’s creation in the 1970s to the success of that era’s Blaxploitation films. Claire describes how show runner Cheo Hodari Coker grappled with that legacy while pursuing something deeper. Our hosts conclude with their thoughts on the show, including its ambitious use of music and new perspective.